Put your message on the move... Cycling Bike Bottles travel everywhere ~ to the gym, biking, hiking, jogging, to school, to the mall and to the park. Where do you want your message to travel? Convenient 20 ounce size travels with you no matter where you go and is great for smaller hands! 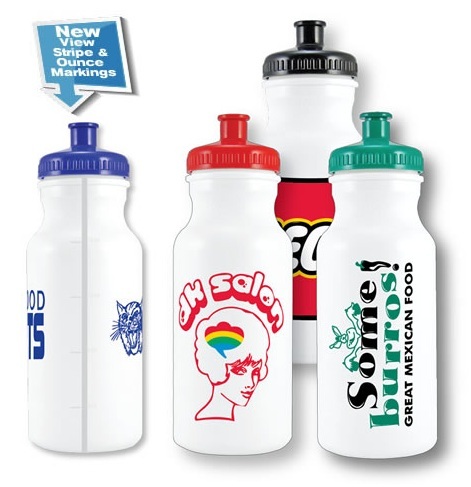 And with these low minimum quantities, even smaller events can now order bike bottles to custom print their message. For bigger hands and bigger thirsts, we also offer a larger 32 ounce size. 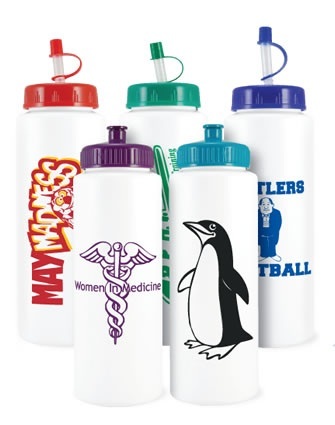 Bike bottles are available in white BPA Free plastic with your choice of push/pull lid color. Prices below are for 1-color custom imprint. 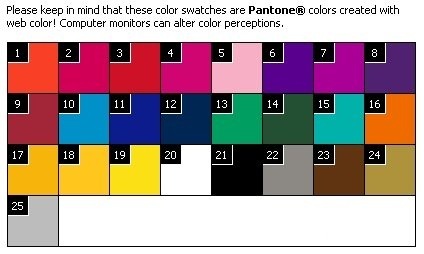 Contact us for pricing for more than 1-color. 32 ounce Bike Bottles are available in white BPA Free plastic with your choice of push/pull cap (standard) or optional straw cap in your choice of color. Prices below are for 1-color custom imprint. Contact us for pricing for more than 1-color. Colored bottles available for additional charge. Contact us for details.